Our physical store is located in New York City Chelsea Market, with entrances at 75 Ninth Avenue and 88 Tenth Avenue. Chelsea Market is an indoor arcade-style market (one whole NYC avenue-to-avenue block) with the finest raw and prepared food shops in downtown Manhattan. Our shipping costs vary according to the items we are shipping. We can ship most items by UPS Ground which will be calculated automatically on the order page. The larger pieces of equipment have to ship by motor freight and need to be calculated on an individual bases by our staff. The shipping quote will be emailed to you for approval before charging your account. Thanks for Shopping with us. You can return stock items and we will issue a refund for the full price(including shipping) or replace at no extra charge any item you return that meets these conditions: .Incorrect Item Received �Item Arrived Defective Within 15 days of the receipt of your shipment, you must apply for a return authorization. Returns must be accompanied with their original packaging,box,paperwork and accessories. All other returns will incur a 20% restocking fee as well as the shipping costs incurred. Email with your Yahoo order # and the items you are returning,and indicate the reason for your return. A Bowery Kitchens representative will issue a return approval and assist you with the return. Please keep the original packaging and accessories to return the item. NOTE: These items will not be accepted at the return address below without prior approval from a customer service representative. Thanks for shopping at Bowery Kitchen Supplies. 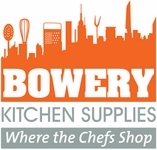 Bowery Kitchen Supplies Inc. is a dealer in restaurant equipment, foodservice supplies, and kitchen equipment. We represent all national brands and over 800 restaurant equipment manufacturers. Founded in 1975 by Father and Son, Bowery Kitchen Supplies maintains a large showroom of new restaurant equipment, kitchen equipment, and restaurant supplies in New York City . We inventory over 6600 foodservice equipment items in our warehouse. We can handle all of your food service and home kitchen needs, from small orders to remodels, new installations, and turnkey projects both locally and long distance. Our sales staff can assist you with all of your restaurant equipment and kitchen equipment needs. We ship promptly and can deliver to you wherever you are located. Special orders and custom orders are no problem. We will be happy to serve you. Our services are comprehensive from the front of the house to back including specifications and proposals for kitchen equipment, tablesettings, smallwares,utensils,cutlery , dining furniture and cookware, complete from A to Z supplies. The Fine Print: To receive one of our Gift Certificates, the recipient must have access to the Internet and must redeem the certificate on the Web site. Any unused balance on the Gift Certificate will be available for future purchases under the same Gift Certificate number. If the purchase exceeds the amount of the Gift Certificate, the balance must be paid for with the recipient�s credit card.